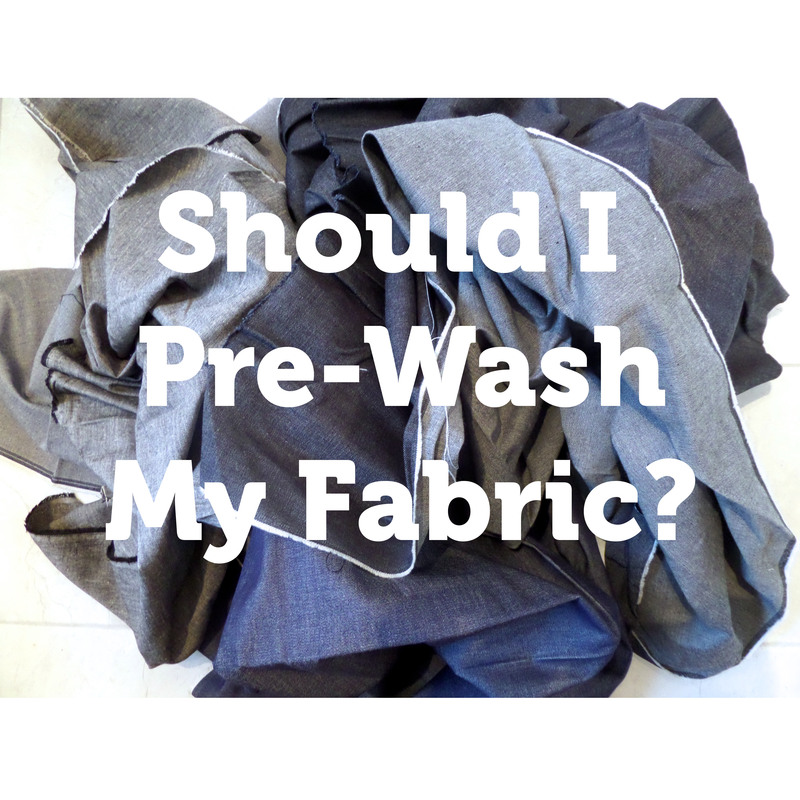 Should I Pre-Wash My Fabric Before Sewing? Students often ask me if it really is necessary to pre-wash their fabric before cutting into it for a new project. Most of the time the answer is yes! But, if you can’t or you forget and your fabric is natural fibre, you will have to hand wash your finished garment in cool water to avoid it shrinking. ideally dry your fabrics flat – wovens can be hung on a line, but never knits as they will stretch, knits must be dried flat and not draped over anything that will poke into the fabric and distort it ie. chair back, banister. When pre-washing your fabric, put it on a cycle appropriate to the fabric (check the washing instructions in the shop when you’re buying the fabric) and one that you’d like to be able to use on the finished garment. This entry was posted in Sewing Help, Sewing With Knits and tagged fabric shrinkage, how to dry fabric, pre washing fabric, sewing tips, washing fabric, Wendy Ward, what fabrics shrink, will my fabric shrink. Bookmark the permalink. Well, better to be safe than sorry! Instructions are located on the end of fabric bolt. I’ve sewn both ways ( pre wash/no pre wash) can’t really tell a difference. But, to be on the safe side, I pre wash. I have been sewing for decades and I have never ever pre-washed any type of fabric and have never run into difficulties because of this. If you choose quality fabric and wash according to the manufacturers instructions I can’t see why there would be a problem. Well they must be some amazing natural fibre fabrics you’ve sewn with Anne, lucky you! Personally I’ve never worked with a cotton denim that hasn’t shrunk and the colour run or a natural fibre knitted fabric that hasn’t shrunk by at least 6%. I always buy good quality fabrics and every fabric retailer I buy from recommends pre-washing, especially natural fibres as they know that they’re going to shrink. I have been sewing for 50 years and during that time I have used a massive range of fabrics, both natural and synthetic, cheap and costly. I’ll admit I don’t use a lot of knits but there has been plenty of wool and cotton and linen. Here in the UK I have never seen fabric for sale where the advice is that you should wash before use. I have never been advised by a salesperson that I should pre wash fabric. I wonder if the fabrics used to make ready to wear garments are pre-washed before they are made up? …however, based on your advice, I’m going to contact the supplier of some Italian selvedge denim I have recently purchased, to ask about pre washing!